Everyone knows the problem: it's always easy to find something sturdy for one end of a hammock, but the other end is usually not quite right. 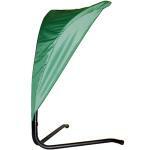 The Madera solves the problem. 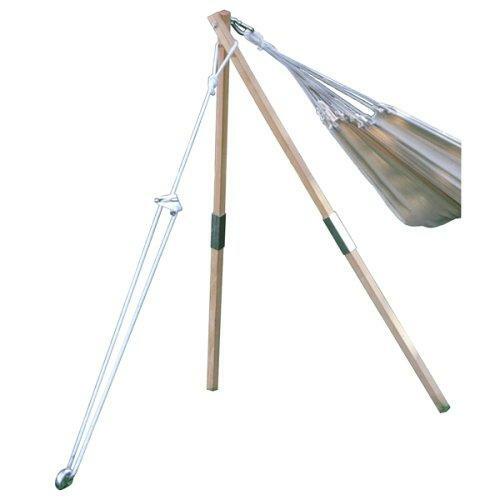 Simple in design and made from the highest quality materials, simply slip the hardwood bars in the metal sleeves and stand up, drive the anchor pin into the ground, adjust the rope to the right length and you're ready to hang any Amazonas hammock. Includes all necessary hardware. 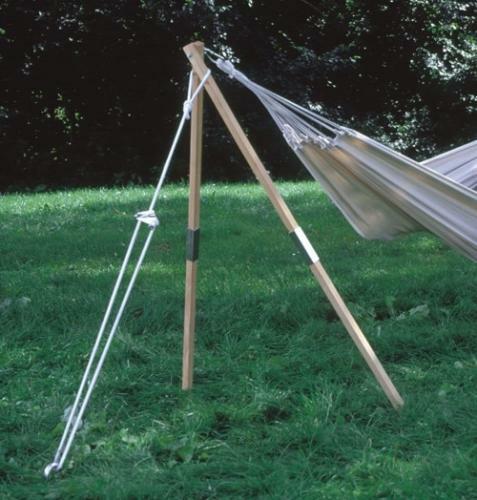 *The Madera Stand is designed to be used when there is only one tree or sturdy attachment point for the hammock and something is needed to support the other end. "I am glad that I've found this website!"